Formerly a registered legal executive with the firm, Vanassa was admitted to the bar in August 2012 and is now a lawyer in the litigation team. She has practised as a legal executive since 1990 previously working for law firms in Auckland and London and attaining the status of Fellow. Vanassa is very active in the disabled community. 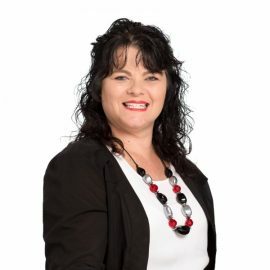 She is Chairperson of the Whangarei Accessible Housing Trust and Tiaho Trust and a member of the CCS Disability Action Local Advisory Committee. Vanassa does disabled advocacy work across a wide range of issues affecting disabled people and assisting the disabled sector. We are very impressed with the way you have captured the essence of what we have been trying to say and we would like to thank you for caring enough to listen, showing us a way forward and even restoring our faith in the Legal Profession!